Childhood is the foundation stone upon which stands the whole life structure. Education that is imparted in childhood is more important than the education received in colleges and universities as the word education encompasses a world beyond the confines of the classrooms. A wide range of co-curricular activities is a sine qua non for the child to develop character and personality. It helps to enrich the intellect and the creative capacities of the pupils and to develop valuable leadership qualities and self-confidence. The school offers a myriad of activities for its ambassadors to navigate their interests and to carve out niche for themselves in various walks of life. We, at SKV strive to provide to our pupils a multifaceted experiential learning so that we produce multidimensional individuals. The school thus provides the students with a plethora of options like sports and games, music, dance, fine arts, craft, dramatic arts, etc. The school offers a myriad of activities for its ambassadors to navigate their interests and to carve out a niche for themselves in various walks of life. We, at SKV strive to provide to our pupils a multifaceted experiential learning so that we produce multidimensional individuals. The school thus provides the students with a plethora of options like sports and games, music, dance, fine arts, craft, dramatic arts etc. We here at SKV nurture the aesthetic sense and creative pursuits through paintings and drawings. 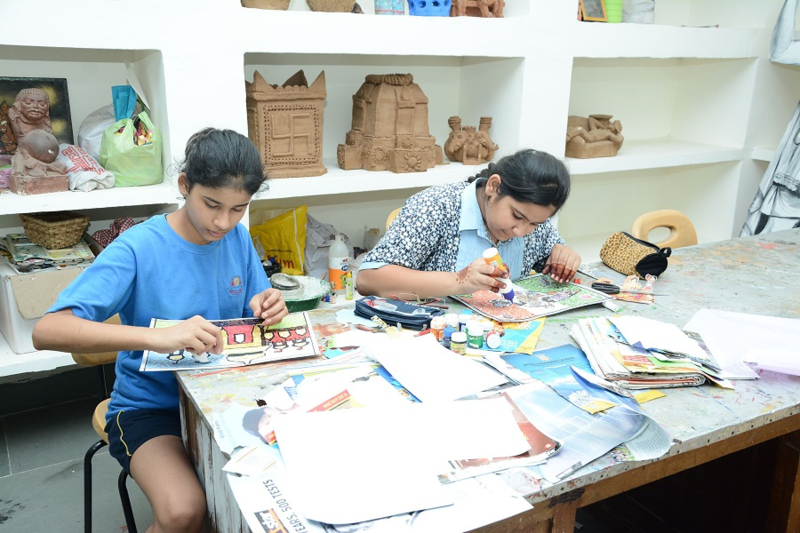 The students are motivated to learn the nuances of fine art painting. Our pupils give expression to their emotions through colors. 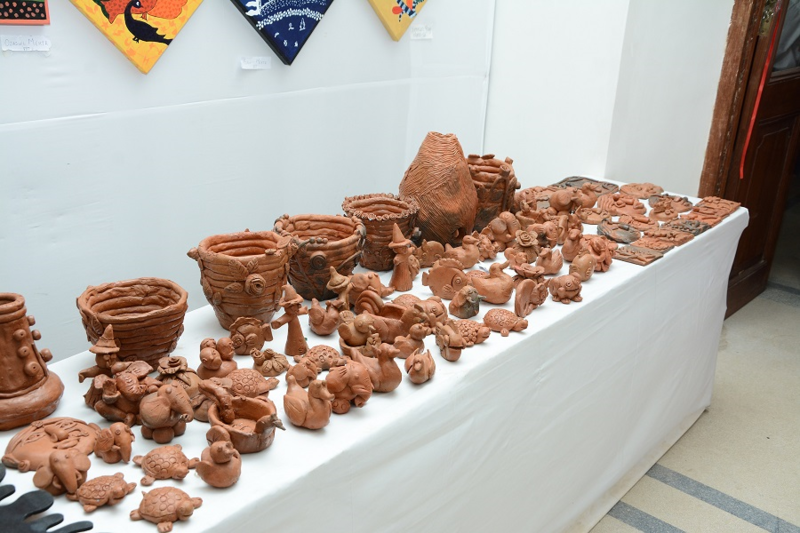 Needle work, Pot making, Flower making, Candle making, Puppet and Doll making are some other domains where students exhibit their creative abilities. An atmosphere of holistic, multi-dimensional and adaptable education - which would be a perfect blend of rich and varied tradition of the past with tech savvy world of today, is what one gets at SKV. Proficient teachers hone the skills of Photography,Web Page Designing,Video and Film Making, and Power point Presentations. Endeavor and travail go into ensuring exemplary performance in the sphere of dance, drama, music (both classical and vocal) , fine arts and craft. SKV is renowned for its depth and spirit of its music programme. The students are encouraged not only to polish their flare for music and arts but also to gain knowledge of technicalities to become meticulous performers. Excellent training in various musical instruments, both Indian and Western, viz. Guitar, Violin, Tabla, Sitar, Drums, Xylophone, Synthesizer etc. is imparted. 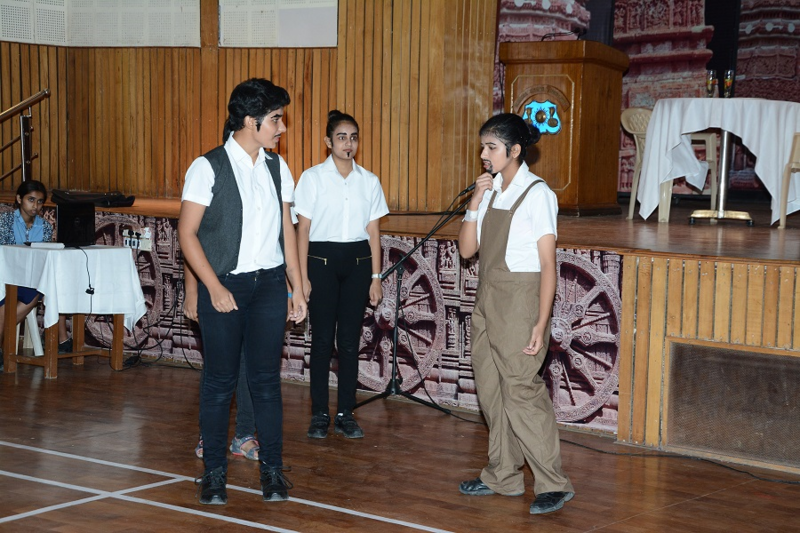 The students are encouraged to enhance their appreciation of the classical, light, folk and western music. The School choir earns accolades for the Western numbers. Training in varied Indian classical dance forms -Manipuri, Bharatnatyam, Kathak, to name a few are imparted. Workshops of Western dance are organised from time to time to refine their skill. All pupils have the opportunity to lead or become members of clubs, societies or interest groups ranging from those focused on creative and performing arts to specific areas of interest such as the Active Environment group, The Debating society, Creative Writing, The Astronomical club, Bird Watching and The Nature Club, The Gardening club, The Scientific Society, The Historical and Heritage Club. The Entrepreneurial club gives its members the unique opportunity to create and run their own business. The girls get a first hand experience of learning the importance of creativity, teamwork, communication, census - building, personal responsiblity, and comprise, as they experience the joys and challenges of running their own business. The school takes an initiative in assisting its students to recognize their area of interest and identify their innate skills. Our girls are given the opportunity to grow within an atmosphere in which trust, tolerance, consideration for others and compassion is highly valued. SKV girls are encouraged to demonstrate integrity,honesty and moral fortitude. It is within this setting that girls develop their own moral compass. To develop the sense of dignity of labor and to help and experience their responsibilities towards society, pupils are encouraged to undertake social service activities in school and through Round Square projects. We always encourage the girls to try new activities and if there is something they wish to do,and it is not on offer, then they are invited to take the lead and set up a new club! Field visits are organized to assist 'citizens of tomorrow' in attaining experiential learning. To give exposure of 'the world to our girls before we give them to the world', Internship programmes are organized during vacation. Through all the activities suiting different tastes we leave no stone unturned to instill in our young pupils a strong driving force 'I CAN'.